The first Bluetooth was developed in the year 1994 by Sven Mattison and Jaap Haartsen. They were working in a mobile phone company named Ericsson which is in Sweden. Then five companies came forward and joined to form the Bluetooth special interest group. Then they developed the Bluetooth protocol specification version 1.0 in the year 1999. 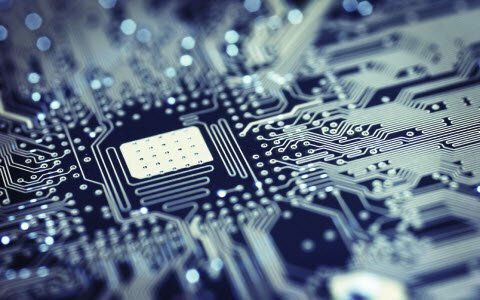 It allowed to develop applications and interactive services over the interoperable radio modules and data communication protocols. It was meant to provide the information on the specifications, capabilities and their architectures. More number of usage modules were identified by the Bluetooth SIG. Bluetooth is a short range communication technology. The Bluetooth name taken from the 10th century Danish king Herald Blatand. Who combined Denmark and Norway. Bluetooth technology is a wireless system that uses radio waves for communication purpose. It has the capability to communicate with many different devices at once without interface. It is an open standard for short range transmission of digital voice and the data support from the point to point and multiplier to point applications. It has a short-range radio link and the price is also low. When two Bluetooth devices are in 50 meters range, then they have the connection probability. When the Bluetooth is cut, the cord is used in digital devices. It operates with the seed of 2.45 GHz, which is available in all cases and it has some variations in location and bandwidth. For mobile phones and business users the range is set at 10 to 100 meters. It is possible to increase the range. 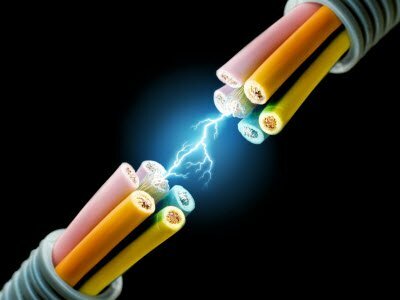 The speed of the gross data rate is 1bit/s, and the speed of the second generation is increased up to 2bit/s. One-to-one Bluetooth connections are allowed for a maximum speed of data transfer, which is 723 kbits/s. The standby mode is only 0.3 ma and it has low power consumption. Bluetooth supports wireless point-to-point and point-to-multiple devices in Pico net. Point-to-point link has a master and slave relation and Bluetooth function is also same like a master and slave; the figure below shows the master and slave relation. 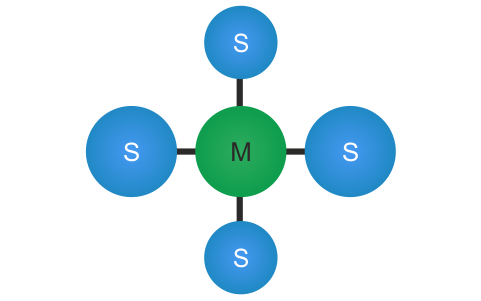 Point-to-multiple links is a network function; it functions like a master-to-one or more slaves, but the maximum number of slaves should be 7; the below diagram shows a clear picture of point to multiple link. The main function of the Bluetooth is a Bluetooth protocol stack. It defines and provides different types of layers and functionalities. 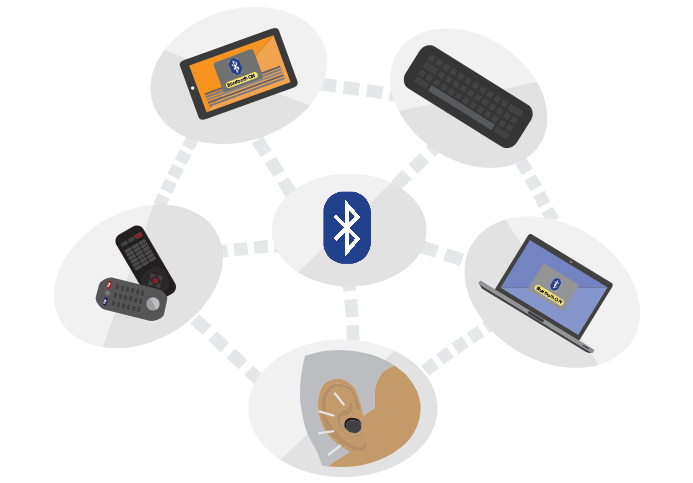 Bluetooth can run different application over different protocol stacks, but, each one of these protocol stacks uses the same Bluetooth link and physical layers. 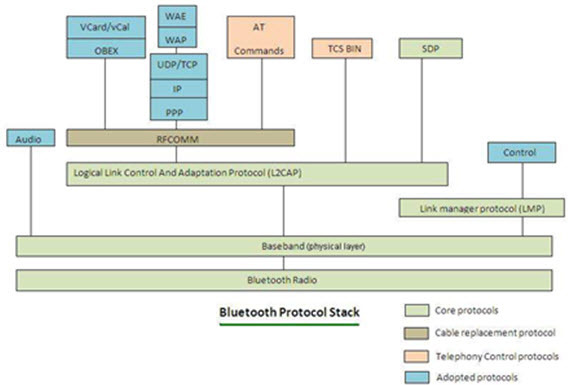 The below diagram shows a complete Bluetooth protocol stack. It shows the relationship between the protocols that use the services of other protocols when there is a payload to be transferred in the air. 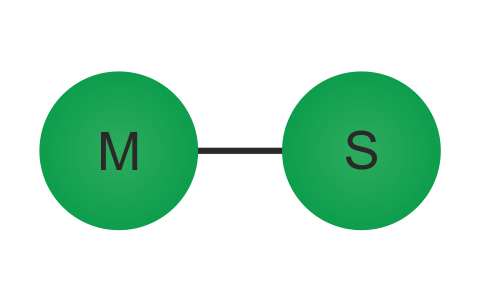 Anyhow, the protocols have many other relationship between the other protocols – for example, some protocols (L2CAP, TCS Binary) use the LMP to control the link manager. The complete protocol stack is made up of both Bluetooth specific protocols like object exchange protocols (OBEX) and user datagram protocol (UDP). The main principle is to minimize the reuse of current protocols for different purposes at higher layers as if re-inventing circle once again. The protocol re-use is helpful for the legacy applications to work with the Bluetooth technology to measure the smooth operations and interoperability of applications. 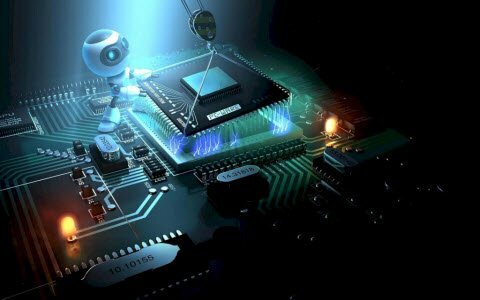 Hence, many applications are being developed to take immediate advantage of the software and hardware. 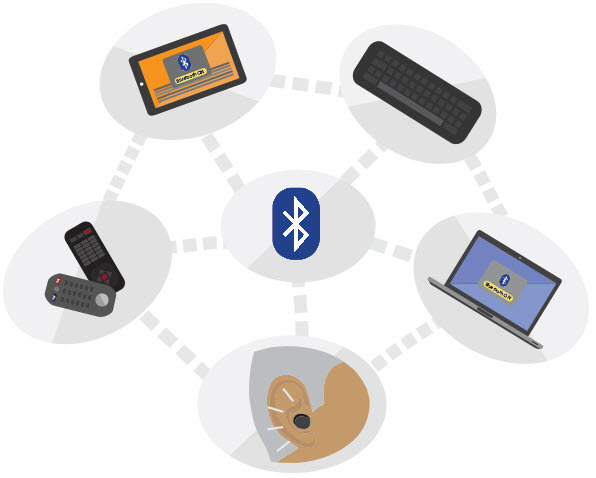 Bluetooth offers economic wireless solution (both data & voice) for short distances. It is used in the mobile and stationary environment. There is no setup file to install the Bluetooth; it is an inbuilt device. 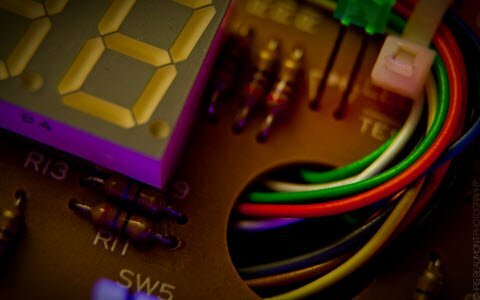 Global technology specifications are used. Up to eight devices can be networked in the Pico net by using Bluetooth. Devices need not to be pointed at each other, as signals are Omni- directional. Governments regulated worldwide because it is possible to utilize the same standard. Signals can be transmitted even through walls and briefcases. Wireless communication with PC’s input and output devices; the most common devices include mouse, keyboard, and printer. Transfer of files, contact details, calendar appointment, and remainders between devices with obex. It is possible to send a small advertisement from a Bluetooth enabled advertising notice to other discoverable, Bluetooth device. In cars introduced in 2004, like the Toyota Prius and Lexus, have 430 band free call systems. 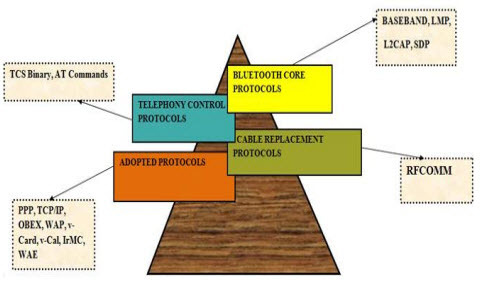 This article gives the information about Bluetooth protocols, types of Bluetooth protocols, Bluetooth’s advantages, applications and characteristics of the Bluetooth protocol. We hope that the information given in this article is helpful in providing some good insights and understanding of the project. 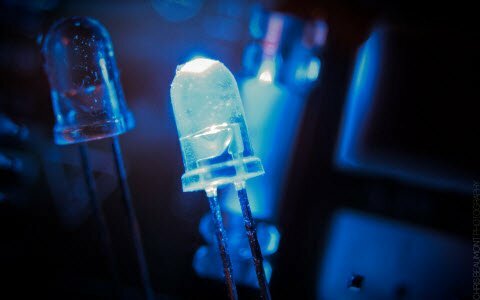 Furthermore, if you have any queries regarding this article or any other electrical and electronic projects, you can comment in the below section. 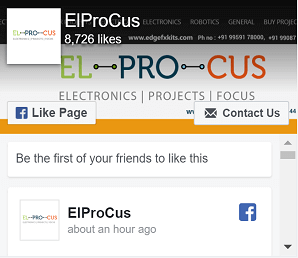 Here is a question for you – why Bluetooth is called as a cable replacement technology?